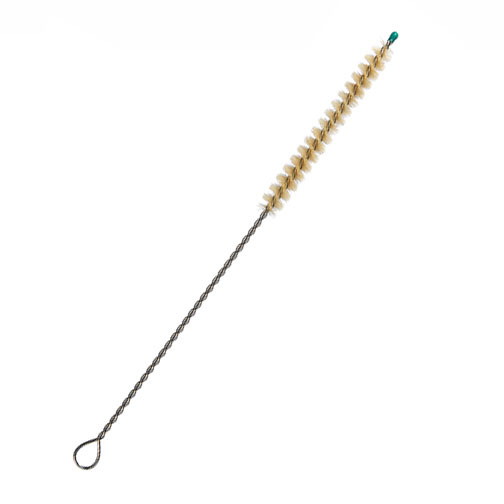 A plastic-free cleaning brush suitable for cleaning reusable straws and other house hold items. Choose plant-based bristles(vegan) or natural wool bristles. A plastic-free cleaning brush suitable for cleaning reusable straws and other house hold items. Ideal for cleaning drinking straws with 5mm+ diameter. A steel brush with either plant bristles(vegan) or wool bristles. Please choose from the drop down menu.